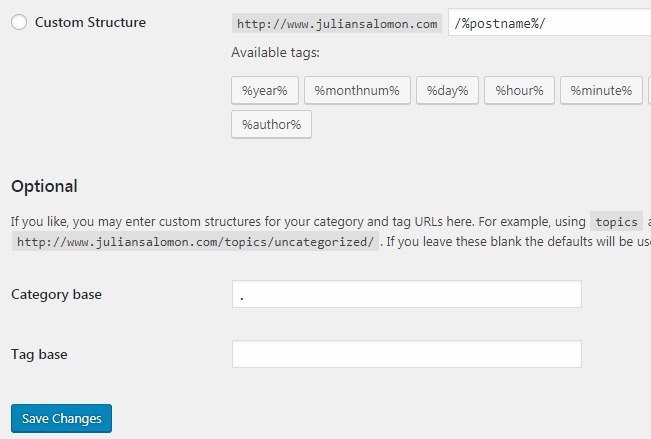 I tried many different solutions to get category page for wordpress to work. Here are my settings in wordpress. I like to have structure “domainname.com/name of the post/” but when I want to go to individual category page I receive an error that it doesn’t exist. I tried to remove . in base category and it doesn’t make any difference.